Did you know that the average winter season in Canada welcomes more than 200 different cold and flu viruses? This year, one of those many viruses is the notorious H3N2 flu strain, a virus that the head of the National Foundation for Infectious Diseases calls “the bad actor” in the bunch. Here in Ontario, officials are already worried that this year’s cold and flu season is going to take area hospitals past patient capacity. While the first-pass precaution remains the flu shot, the truth is, getting the shot will reduce your risk by only 60 percent at best. For the other 40 percent, you will have to rely on your own ingenuity to bolster your immune system. 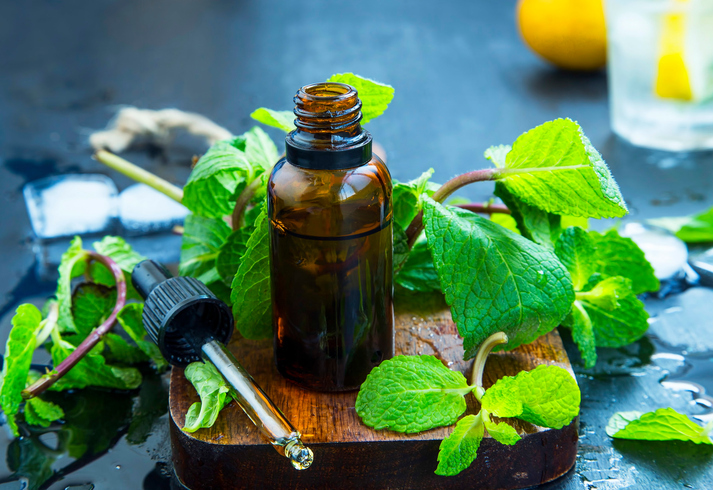 In this post, we share our top tips for how to use essential oils along with other indoor air quality helps to send cold and flu germs packing! These 10 essential oils can help you fight off cold and flu this year. Oregano gives your immune system a leg up with its powerhouse antibacterial and antiviral properties, which means it can fight off both viral and bacterial germs. Thyme is a natural antiseptic herb (Listerine, which uses thyme in its mouthwash, has known this for years). It can also ramp up your circulatory system, sending germ-fighting cells to beat back illness. Eucalyptus, a popular ingredient in respiratory remedies, is both an antiseptic and an antibacterial plant. It goes to work right away to fight off inflammation and infection in your respiratory system. Not only is peppermint delicious, but it has the kind of superpowers that make flu germs shake at the knees. A natural antibacterial, antimicrobial, antiviral and antifungal herb, peppermint can also ease the pain caused by bouts of coughing, nose blowing, and mucus draining down your already irritated throat. Lemon in any form is a natural disinfectant and antiseptic, as well as antibacterial and antifungal, which means it can make short work of germs and pathogens that are tempted to linger! Like lemon, lime essential oil is a potent antiseptic and disinfectant. It is particularly skilled at inner cleansing, helping to detoxify your body of germs and pathogens while cooling the body and reducing systemic stress. Perhaps there are reasons beyond the ceremonial why frankincense has long been a part of the holiday season. Known as a natural anti-inflammatory, antiseptic and disease-prevention resin, frankincense can also handily combat the mental stress and emotional upset that feeling unwell can cause. Hyssop is known as a natural antispasmodic, which means it can calm bouts of coughing and ease muscle aches and spasms. It is also a natural digestive soother, keeping the tummy calmer during cases of stomach flu. Ginger has natural anti-inflammatory and digestive properties, along with analgesic (pain fighting) powers. This makes ginger the go-to essential oil for victims of stomach flu and anyone who is experiencing nausea from illness or medications. Clove essential oil contains antimicrobial, antiviral, antibacterial and antifungal abilities, which means it can give your overworked immune system a timely lift regardless of what type of germ you are trying to fight off. It is a natural healer that can ease pain, lower body temperature in times of fever, and help ease coughs and asthma symptoms. You don’t have to know anything about natural healing or even about essential oils to use them during cold and flu season. Most are readily available online and in natural foods shops today, along with supplies that help you make use of them. However, if you are on any medications or have any chronic health conditions, it is always a good idea to talk with your doctor before using essential oils. Essential oils may be natural, but at the core, so is aspirin (the original aspirin came from willow bark). So you should ask your doctor first about potential interactions with existing medications. Also check if the oils you want to use are ingestible or for topical or aromatic use only. Inhalation/internal. You can drink essential oils in a tea with warm water or make a gargle, or add drops, such as lemon or peppermint, to your daily water. Diffuser. You can add a few drops of essential oils (just one individually or in combination) to a diffuser. Bathing. You can add a few drops of essential oils to bathwater for a relaxing, healing soak. Massage or compresses. Another soothing use is to have someone give you an essential oils massage, or add a drop or two to your favorite hot or cold compress for pain relief. Some oils are not meant to be put directly onto your skin. Check with the suggested uses. Carrier oils, such as almond or fractionated coconut, can be used to dilute the essential oil so it can be applied to areas such as the chest or back of neck. Note: You want to find a reputable company that produces only 100% all-natural, undiluted oils. Adding back humidity to the dry indoor air of winter can help your respiratory tissues fight off cold and flu germs more effectively. This is why our December Deals holiday promotion is offering 20 percent off the purchase and installation of all whole home humidification systems. You can also save 20 percent off the purchase of any whole home HEPA filter, whole home UV light filtration system, and whole home heat recovery ventilation system by taking part in our ongoing Breathe Clean Air event. Clean Air Solutions Hamilton is grateful for and honored to serve our clients in the Hamilton and surrounding areas. And remember, we are on call for you all winter long! Don’t let cold and flu season take you by surprise—give us a call at 905-544-2470 and find out how to keep your indoor air clean and pure and your family healthy this winter season!